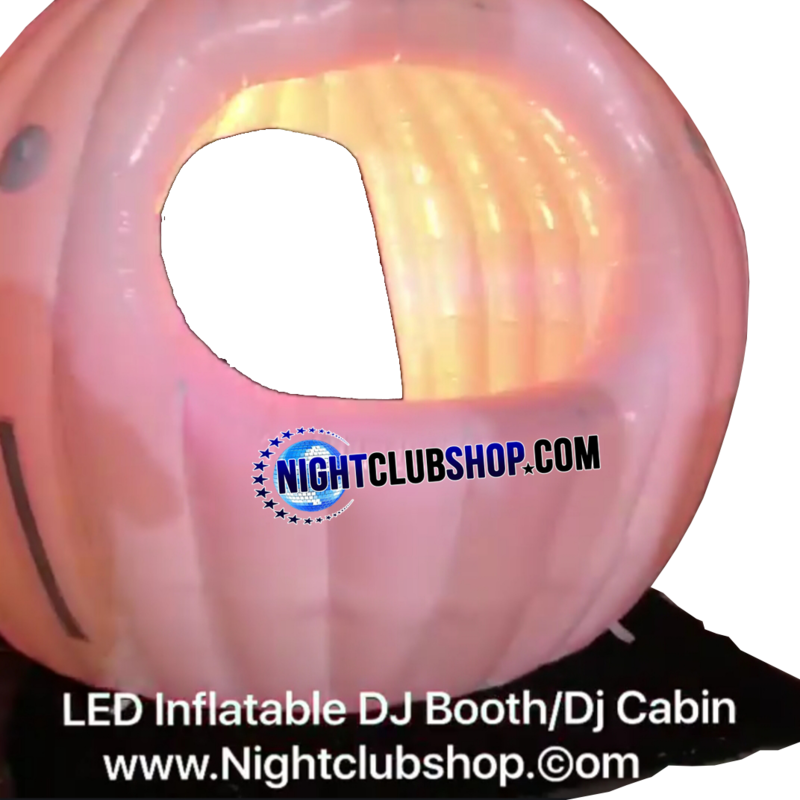 Inflatable "LED SPHERE DJ BOOTH MOBILE CABIN"
One of the newest and freshest additions to the Nightclubshop Mobile DJ, Promotions, and Event Planning Arsenal of tools! 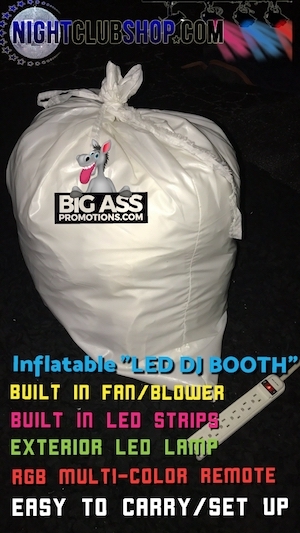 This "Sphere" shaped Inflatable LED DJ Booth, is an easy to use, and all included Pop Up DJ Booth that will "WOW" your Audience for many events to come! The interior DJ Cabin is around 9 feet in diameter, with enough standing room for a DJ booth and a Person or two inside. It has a Opening on the rear for in/out traffic and cables can get routed under the DJ Booth in any direction, it has no bottom. 2.Small investment, high income, great addition to any mobile Dj set Up. 3.Our Nightclubshop products include more than 500 kinds of innovative and hard to find Nightclub, Party, and Promo items.4.Innovation concept is our developing source.